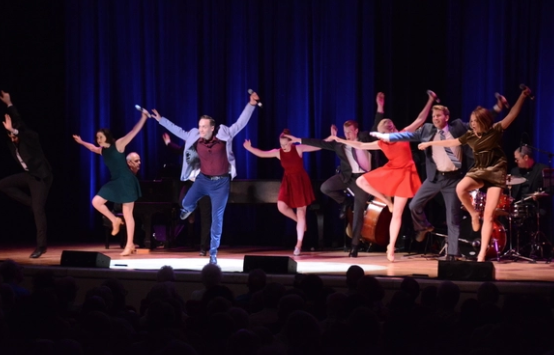 The last concert of the 18th season of Scott Siegel’s revered series Broadway By The Year began and ended with two fabulous production numbers that Danny Gardner starred in and choreographed with the BBTY Dance Ensemble. The format this season celebrated two different years in each show, usually decades apart. On Monday, June 18, 2018, the first act featured songs of musicals from 1988, and the joyous opening “When I Get My Name in Lights” was from Legs Diamond that starred Peter Allen and Julie Wilson. The multi talented Danny Gardner set the tone for what was to be a memorable evening of singers and song. Danny also shone on “All I Wanted Was the Dream” from the same show. Ross Patterson has been the music director/pianist from the beginning and his “Little Big Band” consisted of Tom Hubbard on bass, and Eric Halvorson on drums. Their dazzling accompaniment added so much to this great evening. 1988 was only 30 years ago, but the times sure have changed a lot. Chess was a big hit in London but when it came to NY, did not do too well. The score is wonderful and the show continues to be revived with concert versions and there are rumors of a Broadway revival soon. 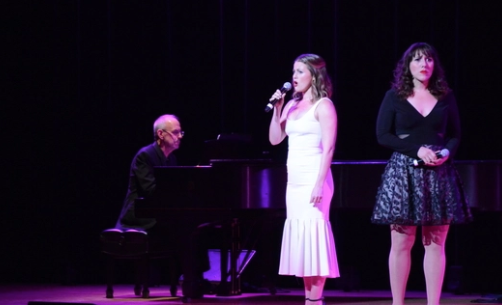 The duet “I Know Him so Well,” sung by two woman in love with the same man, was beautifully performed by Farah Alvin and Rebecca Faulkenberry. Then Brian’s rendition of “Pity The Child” (a song not often sung because it is very difficult) was remarkable. 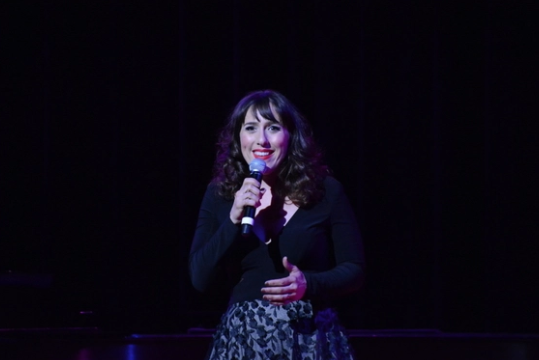 Farah accompanied by the BBTY Chorus (comprised of “Rising Stars” alumni) wowed the crowd with “Nobody’s Side.” The surprise closing of the First Act was the golden voice of William Michals singing “Anthem” unplugged and without amplification. The host/creator/writer/director Scott Siegel announced that when we return after the intermission, we would jump to 2017. The Second Act featured songs from 2017 so we didn’t need any history. Several of the shows that opened then are still running. The Prince of Broadway was a limited run tribute to Hal Prince and the past shows that he was involved with. We were treated to the lovely duet “Tonight” from 1957’s West Side Story sung by Marina and Brian. William Michals sung 1993’s “Kiss of the Spider Woman.” directed by Hal Prince and won Best Musical of that year. 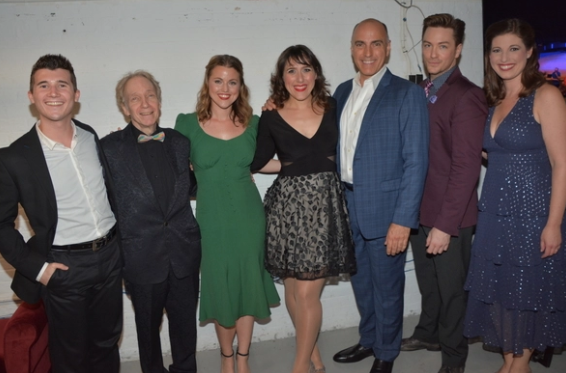 Songs from three shows that closed were performed as Rebecca Faulkenberry revised her solo “Playing Nancy” from Groundhog Day, and the exciting “Love Will Come and Find Me Again” from Bandstand, a show that recreated the music of the 1940’s. Brian shone as the quirky Charlie in “It Must Be Believed to be Seen” from Charlie and the Chocolate Factory. Four shows that are still on Broadway were represented with Marina and the BBTY Chorus singing the hit from Anastasia “Journey To The Past”, and Farah Alvin’s dynamic “Me and the Sky” as the pilot in Come From Away. 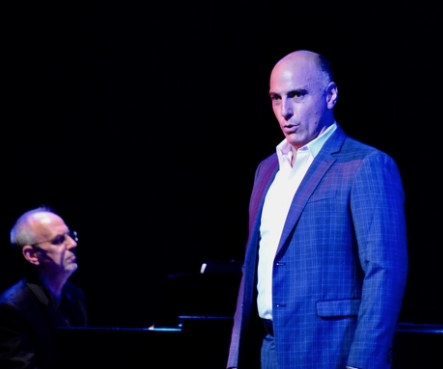 The show that won Best Musical this year The Band’s Visit “Answer Me” was performed by Matt Weinstein and the BBTY Chorus as the young man hopelessly waiting for a call from his love. As I mentioned before the closing number was spectacular. Danny sang and danced “Best Day Ever” from SpongeBob SquarePants holding a large yellow sponge as the BBTY Dance Ensemble entered all holding the same sponges. The choreography was inventive, immensely creative, and terrific fun. The audience rose to their feet for a well-deserved standing ovation. It is a tribute to Scott and his Production Team that they have continued to keep this brilliant series interesting, exciting and fresh for nearly two decades. info@TheTownHall.org for 2019 Subscription Renewals and info. 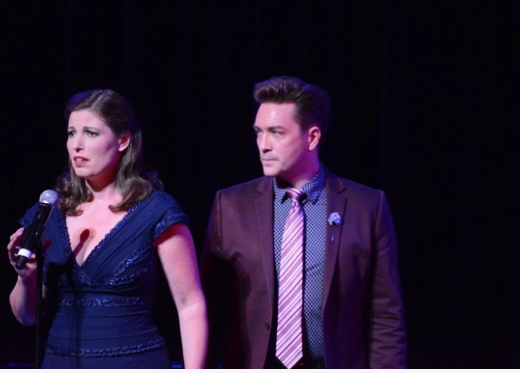 Tickets are still available for Broadway Rising Stars on July 19th. Danielle Aliotta, Emily Blake Anderson, Mandie Black, Mathew Borchers, Jake Corcoran, Tessa Grady, Bryan Hunt, Lily Lewis, Sarah Lichty, Claire Logan, Andrew Metzgar Corrine Munsch, Daniel Plimton, Kristyn Pope, Emilie Renier, Joseph Sammour, Michael Santora, Britte Steele, Peter Surace, Michael J. Verre.